A second of a performance project Five Songs, following Northern Lights + Magnificat. In Three Songs, choreographer Takahiro Yamamoto investigates Modernist ideals of beauty and spectacle through his skewed yet diverse interests ranging from pop culture to pedestrian movements. 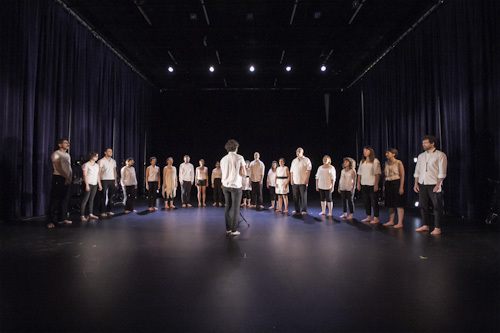 Featuring Portland-based CHOIR under the direction of Jesse Mejía and Jonathan Sielaff, base clarinet, Three Songs is an invitation to perceive various senses of time through musical rhythms, visual rhythms, physical rhythms, and combination there of.